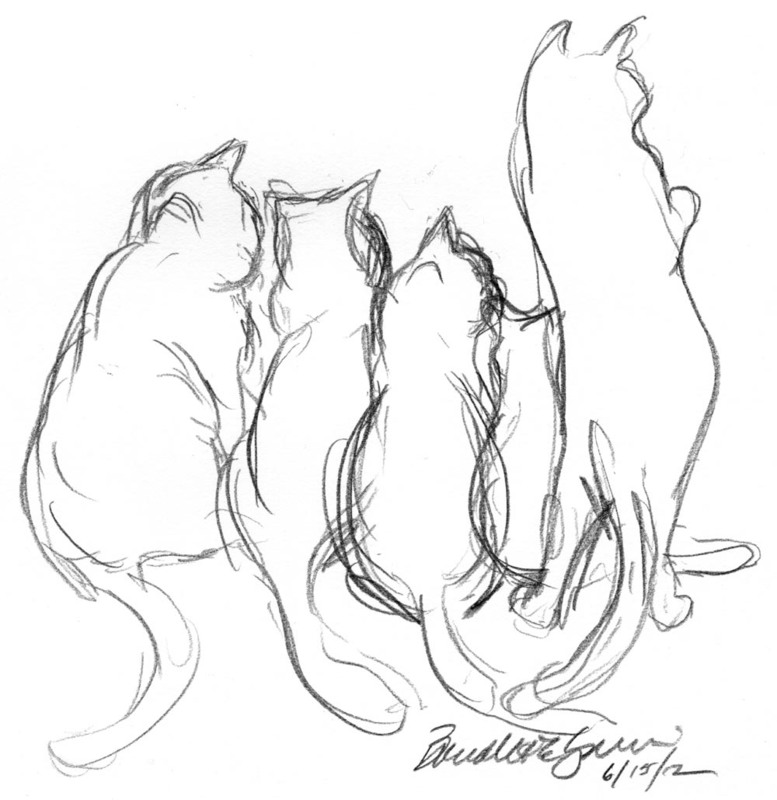 Not that they’d all keep still while I sketched them, instead I wanted to catch their energy, not sure how many or how detailed I’d get I let the sketch build itself and drew them one by one as they moved around at the basement door, looking out at the garden in the morning while I did some work in the basement. Fun, all five in a row, I believe it’s Mewsette, Giuseppe, Bean, Mimi and Mr. Sunshine. I’ve been surprised at the popularity of this sketch. I can only guess that my sketchy pencil lines really did capture their energy while they watched at the door. It’s one of the most often-viewed sketches of all time and gets at least one view per day, often as many as ten. This entry was posted on April 24, 2018 by Bernadette.